Superman is a fictional character appearing in comic books published by DC Comics. Superman was created by Jerry Siegel and Joe Shuster and first appeared in Action Comics #1(June 1938). Superman is considered to be the most iconic superhero. 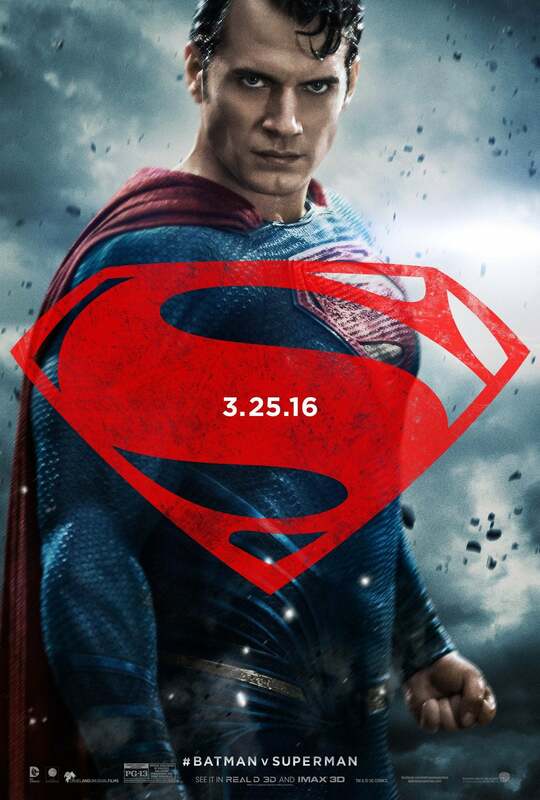 The character is referred to by titles such as Son Of Krypton,Man Of Steel and sometimes as Man Of Tomorrow. Superman was born on the planet Krypton as Kal-El and was rocketed to Earth by his scientist father Jor-El moments before the planets destruction. The spaceship in which Kal-El was sent to earth,crashed in the farm of Johnathan and Martha Kent who discovered and adopted him and raised him as Clark Kent imbued with a strong moral compass. As he grew up,he started discovering his superhuman abilities and used them to help people and keep the earth safe. Superman resides and operates in the fictional city of Metropolis. As Clark Kent he works as a journalist for the Daily Planet,a newspaper of Metropolis. He is generally a member of the Justice League and is a close ally of Batman and Wonder Woman. In June 1933,Cleveland High School students Jerry Siegel and Joe Shuster created Superman. This man pretended to be a meek and mild mannered reporter who was secretly Superman. In 1938, Siegel and Shuster sold all the rights to Superman to Detective Comics for $130. 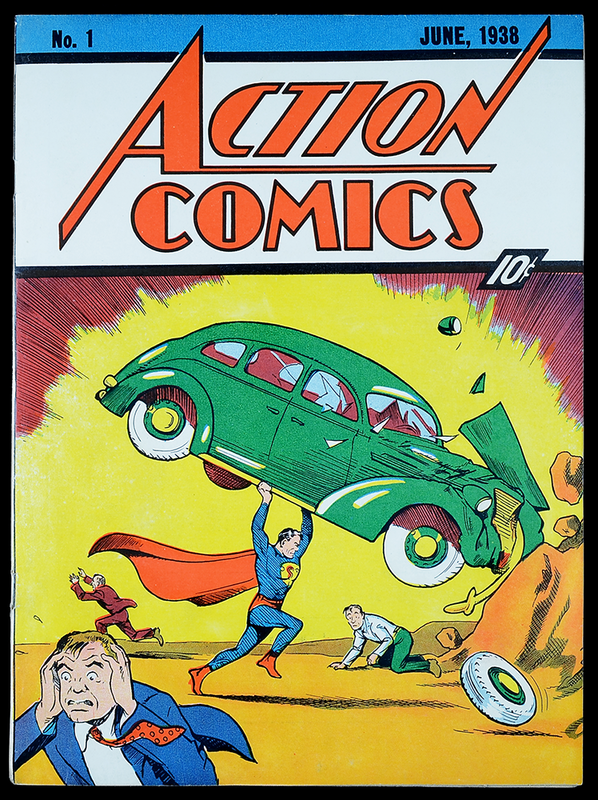 In June 1938,Superman debuted on the cover of Action Comics #1. The series was an immediate success. In 1939,Detective Comics started another series,Superman specially for the character. The planet Krypton was on the brink of destruction, married scientists Jor-El and Lara Lor-Van built a rocket they could use to save their unborn son Kal-El in his gestation chamber. Wanting him to reclaim the fullness in life denied him by the sterility of Kryptonian culture, his parents sent him to Earth, where exposure to the yellow sunlight would charge his cells into living solar batteries and gift him with incredible powers. Upon landing, the child was discovered by Jonathan and Martha Kent in Smallville, Kansas. The kindly couple decided they would adopt and raise him, naming him Clark Kent. In the present DC Rebirth event,since the new 52 Superman is dead,Lex Luthor wears the Superman shield and poses as The New Superman, but the alternate universe Superman(i.e.,The pre-new 52 Superman)confronts him and stops him because he knows that Lex Luthor is evil. Superman is almost invulnerable. The source of his powers is the yellow sun. The radiations from the sun give him his strength. The reason he can fly is because earth's gravity is weaker thank that of Krypton's. He is most vulnerable to Kryptonite,it weakens him and if used properly,could kill him,Superman is also vulnerable when is in close proximity with a Red Sun. Superman has powers such as superhuman strength, speed, senses, durability, longevity,flight, heat vision, freezing breath, extrasensory and visual powers, including X-ray vision, enhanced intelligence and nigh-invulnerability. Superman has many supporting characters including his co-worker and love interest Lois Lane, other co-workers such as photographer Jimmy Olsen,editor Perry White. Superman's adoptive parents, Jonathan and Martha Kent,childhood sweetheart Lana Lang and best friend Pete Ross. Supergirl, Krypto the Superdog and Superboy have also assisted Superman on several occasions. Batman,Wonder Woman and the entire Justice League have also helped Superman in times of need. Superman has many enemies, his archenemy being Lex Luthor. Apart from Lex Luthor there are enemies such as Mr. Mxyzptlk a very powerful being who can manipulate space-time and can only be defeated by making him say his name backwards. Bizarro is an alternate version of Superman from an alternate earth which is in the shape of a cube. Bizarro is the exact opposite of Superman. He is evil,he looks distorted,has flame breath,has freeze vision and talks by using the opposite words. One of Superman's most powerful and undefeatable enemies is Doomsday. Doomsday was the only person who could kill Superman. There are many enemies of Superman, this collection of enemies is termed as Rogues' Gallery. This movie was directed by Richard Donner, starring Christopher Reeve as Superman,Margot Kidder as Lois Lane,Marlon Brando as Jor-El and Gene Hackman as Lex Luthor. The movie performed well both financially and critically,people were very happy with Christopher Reeve's portrayal of Superman. This was the sequel to Superman and was also directed by Richard Donner and featured Christopher Reeve reprising his role as Superman,Margot Kidder as Lois Lane,Gene Hackman as Lex Luthor and Terrence Stamp as General Zod. This was also a critical and financial success. This was third installment in the Christopher Reeve Superman movie series,it was directed by Richard Lester and featured Christopher Reeve reprising his role as Superman,Margot Kidder as Lois Lane and Richard Pryor as Gus Gorman. Even though the movie performed well, the fans were disappointed with the film and in particular with Pryor's acting. After a long break, Warner bros finally made a Superman movie directed by Bryan Singer,starring Brandon Routh as Superman,Kate Bosworth as Lois Lane and Kevin Spacey as Lex Luthor.The movie performed well at the box office but had mixed reviews. After another break, WB planned to create the DC Extended Universe which could link many superhero movies together and to start this they planned a Superman reboot and made Man Of Steel. This was the first film in the DCEU. It was directed by Zack Snyder and starred Henry Cavill as Superman, Micheal Shannon as General Zod,Amy Adams as Lois Lane,Diane Lane as Martha Kent, Kevin Costner as Jonathan Kent, Laurence Fishburne as Perry White, and Russell Crowe as Jor-El. The movie performed well at the box office and also received some positive reviews. Batman VS Superman was the second movie in the DCEU. It was directed by Zack Snyder and featured Henry Cavill reprising his role as Superman,Ben Affleck as Batman,Gal Gadot as Wonder Woman,Amy Adams as Lois Lane,Jesse Eisenberg as Lex Luthor,Laurence Fishburne as Perry White,Diane Lane as Martha Kent and Kevin Costner as Jonathan Kent. The movie performed successfully at the box office but failed to perform critically. In 1996 Warner Bros. started a Superman animated series. The series received good reviews and was loved by fans world wide. The series starred Tim Daly as Superman/Clark Kent, Dana Delany as Lois Lane, David Kaufman as Jimmy Olsen, Clancy brown as Lex Luthor, Corey Burton as Braniac and Micheal ironside as Darkseid.